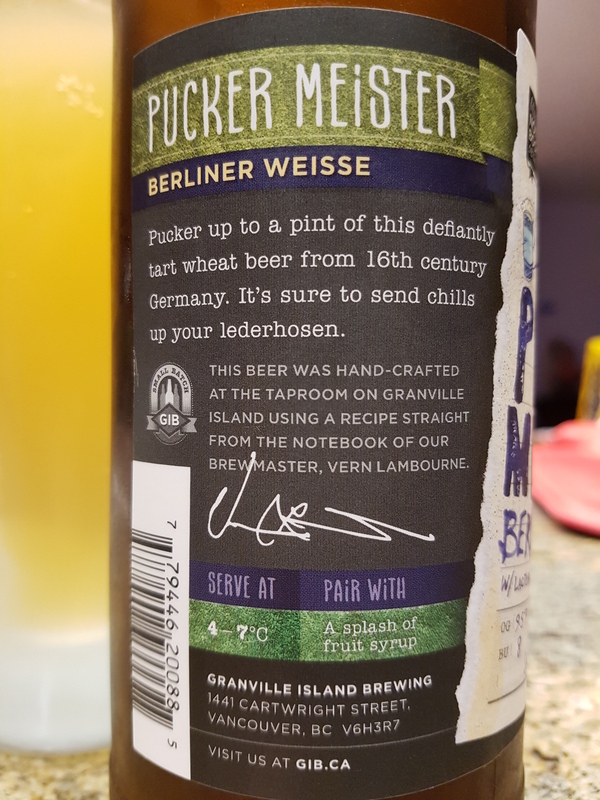 Pucker Meister Berliner Weisse – Granville Island Brewing (Vancouver, BC, Canada) | Justintoxicated. Visual: (cellared for 3 years). Pours cloudy pale straw yellow with barely any head, many active streams breaking the surface. Finish: tart sour, sticky gums, palate rough finish. 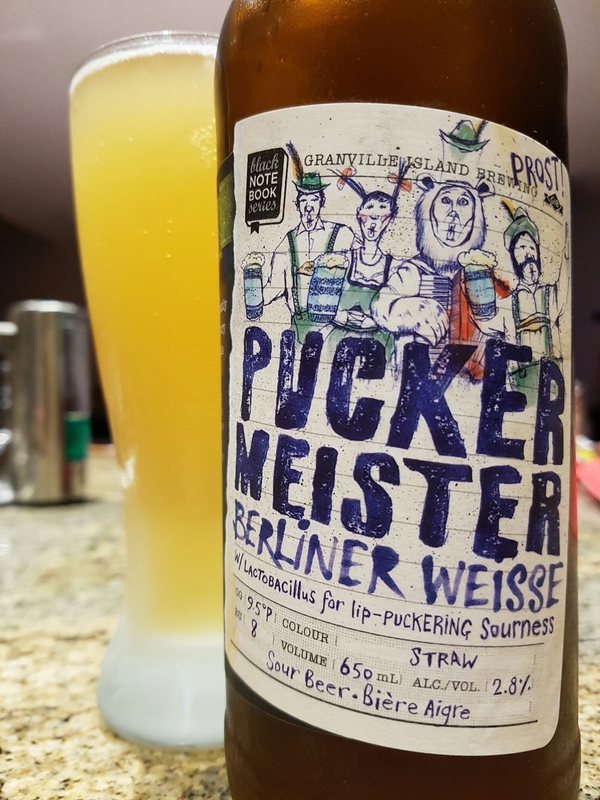 Summary: Very sour and tart, not so much in a good way. Drinkable but rough as a sipper. 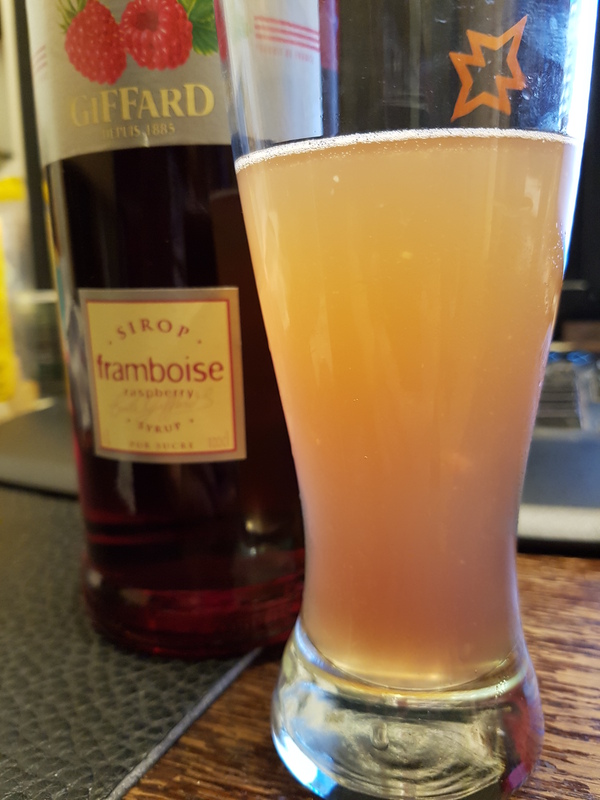 I tried it with Giffard framboise syrup, marginally better but now it’s just plasticky. Meh.